Studying abroad and traveling to all of these cities reminds me of choosing a college to attend. Each time I visit a new city, I try to rate it in comparison to the others. I make judgments about the city based upon the locals I meet, the experiences I have, and the weather. Prague was my favorite city thus far. 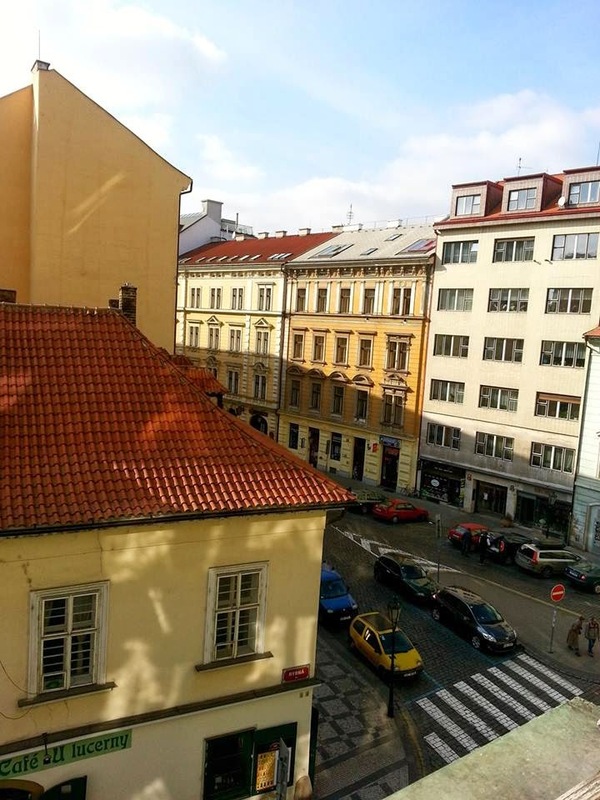 The Prague experience began at 6:50am on Saturday morning, March 1st when the train pulled out of Wien Praterstern and I was sitting in a train car by myself. Wyatt and I agreed to travel to Prague together, but he overslept and missed the early morning train. I could not get a hold of him, and I was utterly terrified. Could I navigate this city on my own? I had only traveled in groups so far, and I was a bundle of worries. I loved the vintage sign! After settling in, I decided to go out, explore, and enjoy the spring weather. 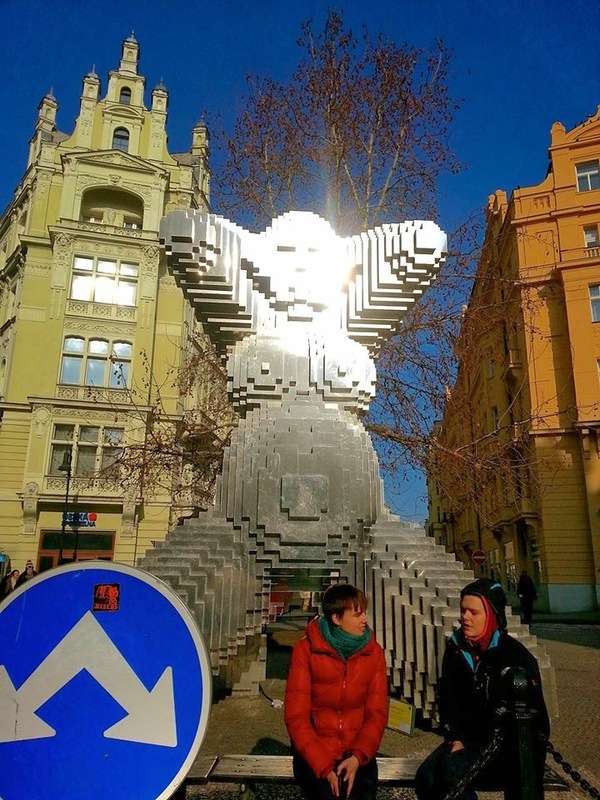 My first encounter was a large statue glistening in the sun. It was David Cerny's 'In Utero'. 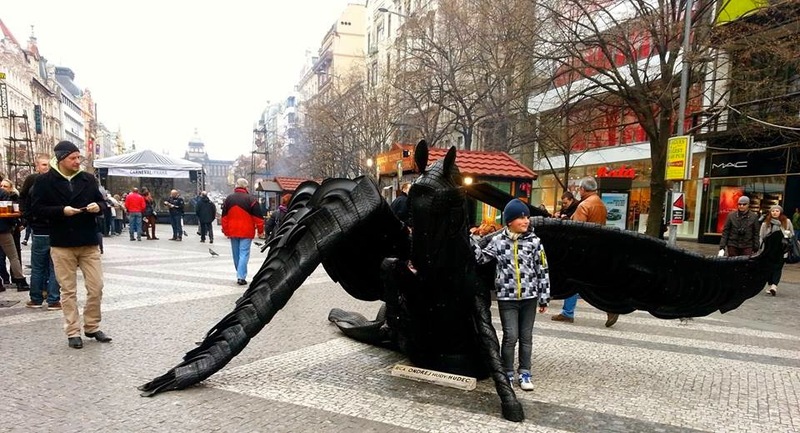 This was a perfect introduction to Cerny's work, as he is a popular sculpture artist in Prague (You'll see another one of his works at the end of this post). 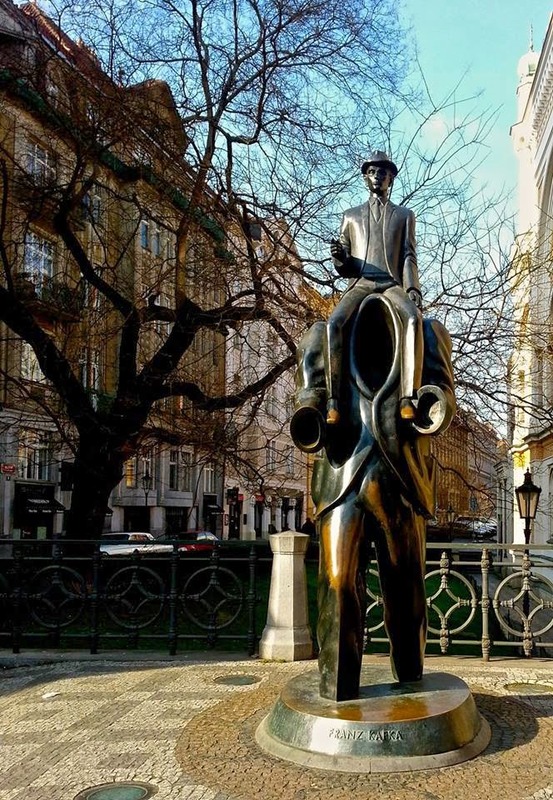 Near 'In Utero' was the Franz Kafka Monument. To the right of the statue was a couple I chose to crop out. When I snapped this photo, it looked as if the couple was trying to take a "selfie" with the statue. 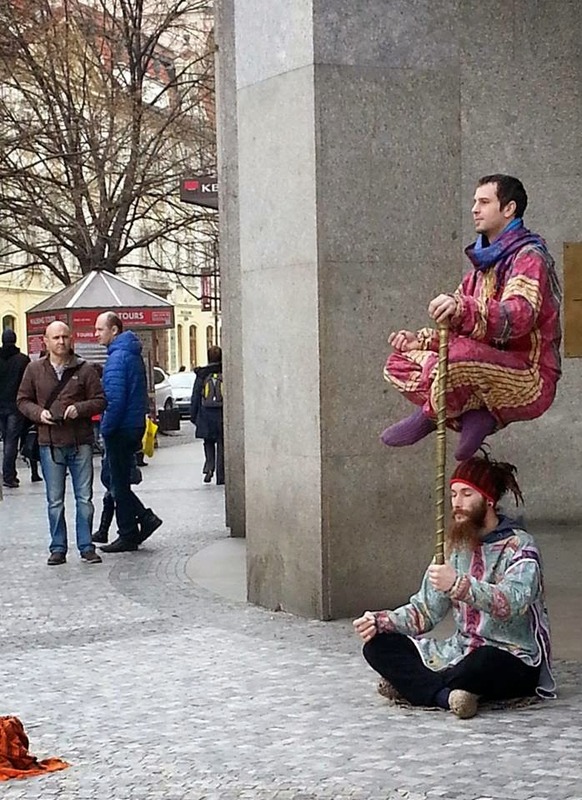 I asked them in English if they wanted me to take a photo of the two of them. The woman responded, "Was?" and I knew they were German speakers. We went on to have a short conversation in German, I took their photo, and I was on my way. I love being able to practice my languages! 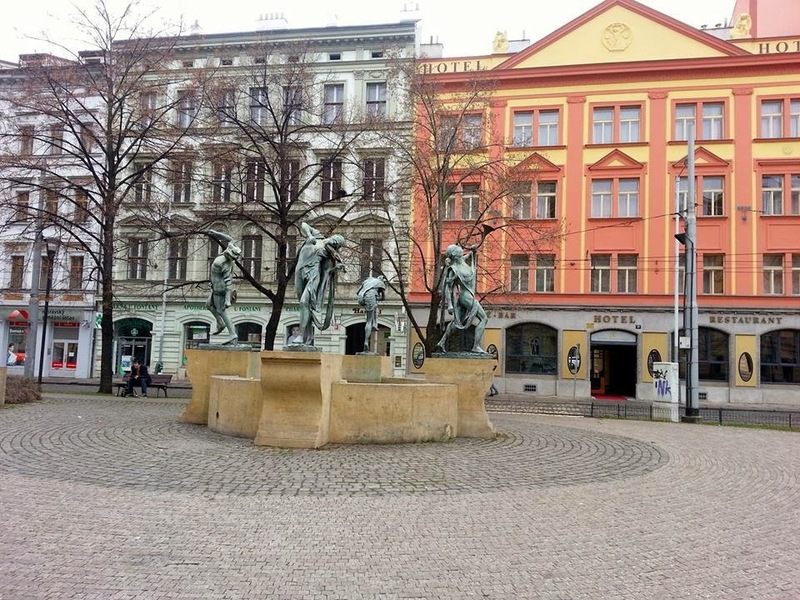 I continued on to the Old Town Square (using the handy map the hostel gave me. I think I've become a decent navigator since coming abroad). The sunlight was perfect as I approached the square, and this bustling area looked like paradise. Busy with locals, tourists, musicians, and vendors I felt very at home. 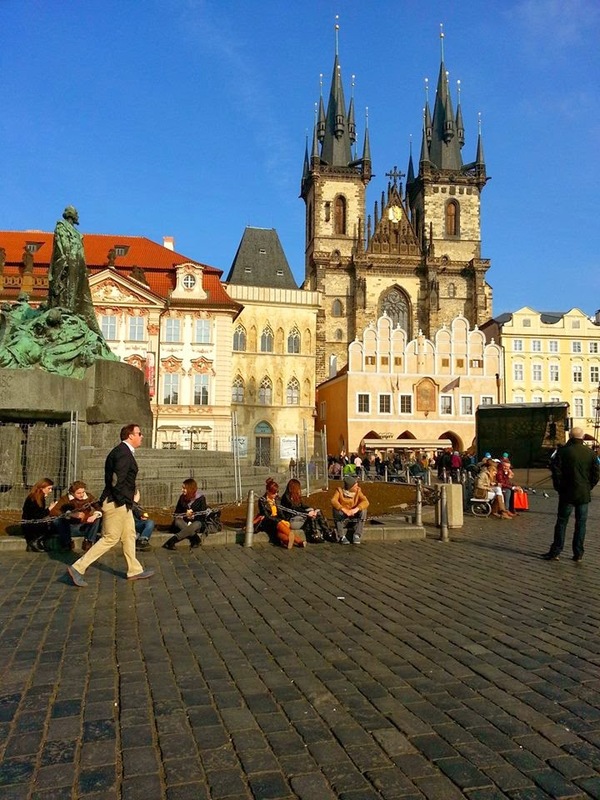 I weaved through the crowds and down the cobblestone streets towards the Charles Bridge. 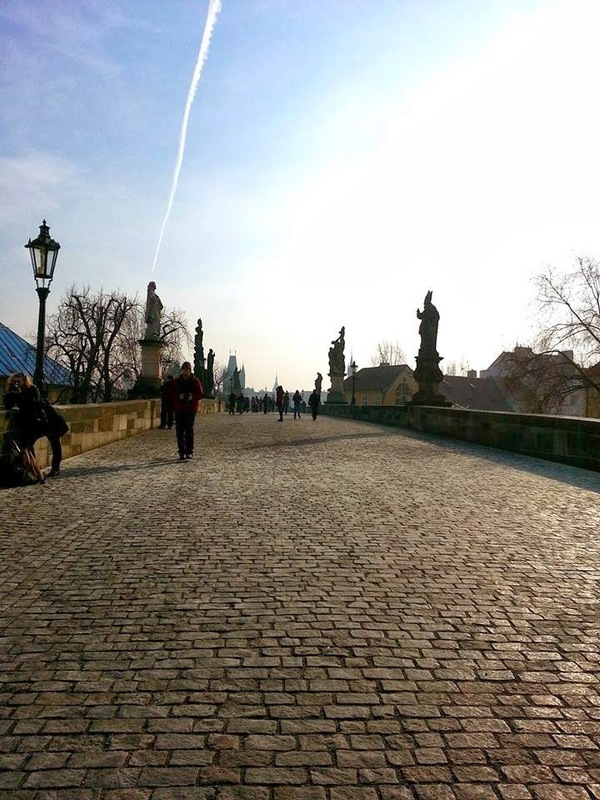 Having been to Prague three years ago, I recalled the bridge being a magical place - and sure enough, it was. Although it was incredibly crowded, the energy from the people, the views from the bridge, the artists selling their crafts, and the long history gave off enchanted vibes. I purchased a pair of wooden earrings (I had bought two pairs of wooden earrings while on the bridge three years earlier) and relished in the wonderful environment. I explored the other side of the bridge for a while until the sun started to set, and then I met Wyatt for dinner. As happy as I was to see a familiar face, walking through the city on my own was my favorite part of this trip. We went to an Argentinian restaurant and saw a blacklight theatre piece called Aspect of Alice. I saw an ad for the production when I was walking earlier, and it looked interesting. I felt that I had gone back in time when I walked into the theatre. The technology, music, set pieces, and animation seemed as if it was decades old. It made me appreciate the technology and resources I have today. After Alice, we went to the Prague Beer Museum and enjoyed some samplers. I tasted five beers and my favorite was called Demon. 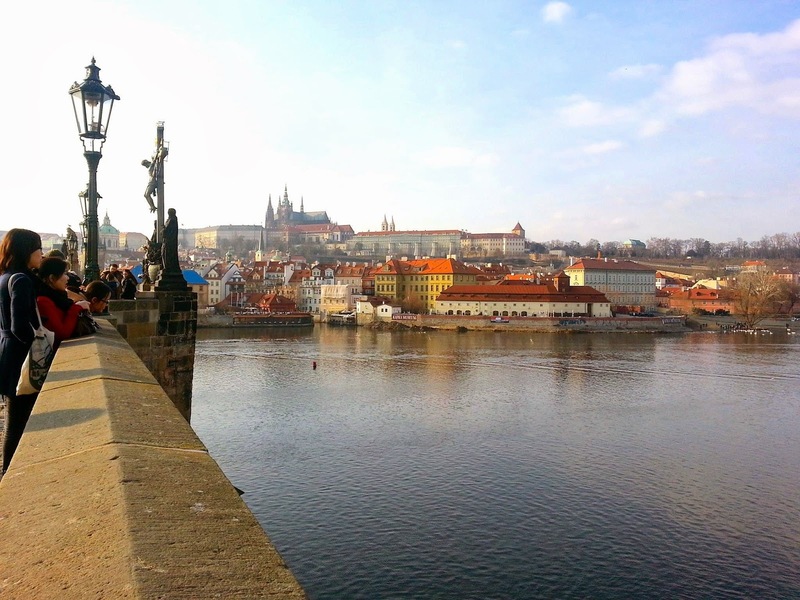 The next day, we started by walking to The Charles Bridge from the hostel. It was a Sunday morning, and the streets and the bridge were very peaceful. 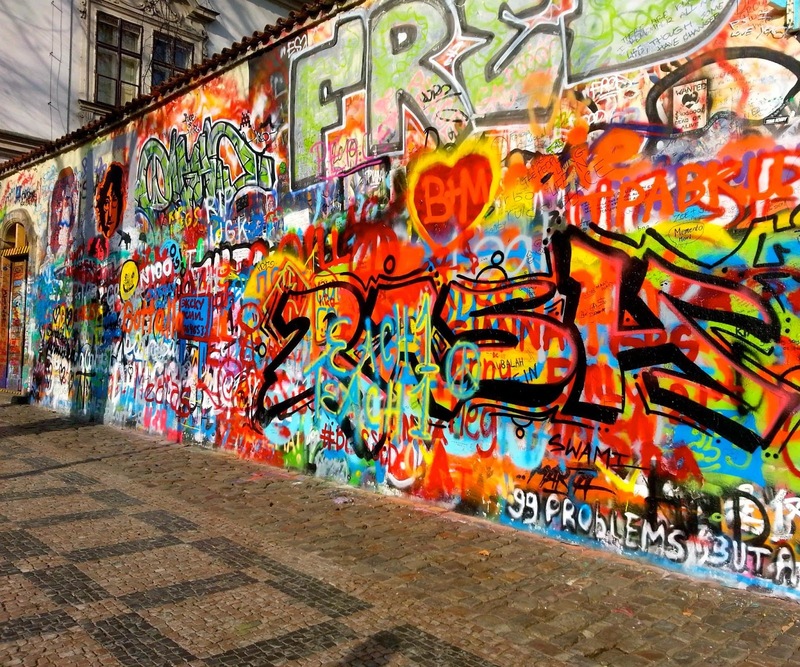 Once crossing the bridge, we stopped at The John Lennon Wall, had breakfast at the lovely Bohemian Bagel, and then Wyatt and I split up for the day. 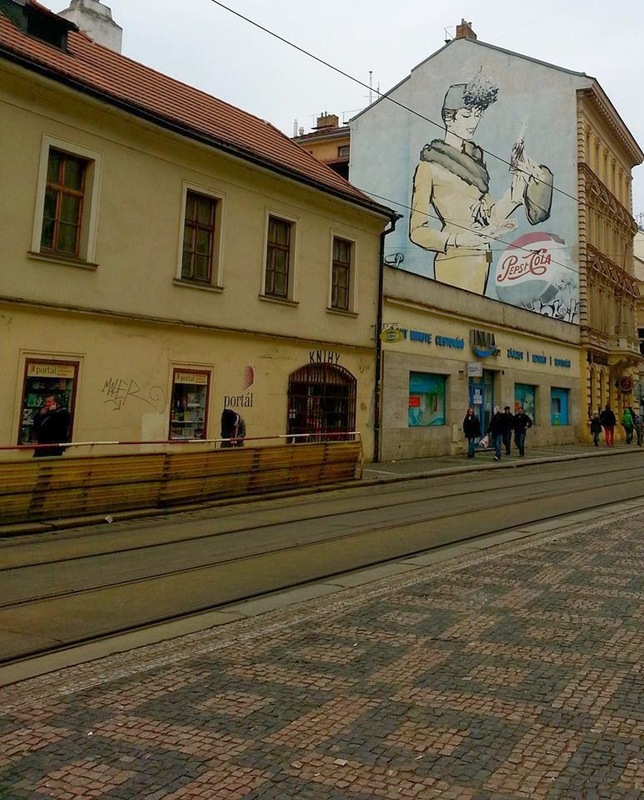 I walked towards and around the Prague Castle and visited the Kafka Museum while Wyatt did a segway tour of the city. 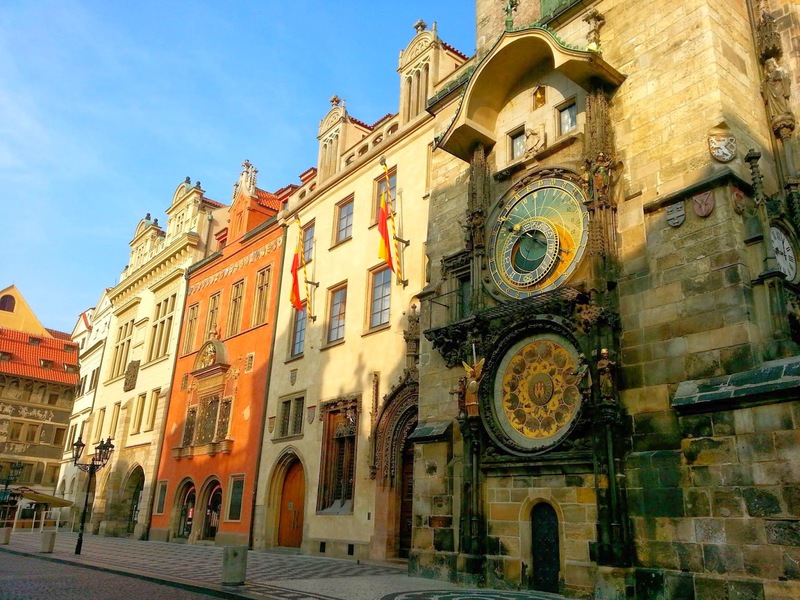 The St. Vitus Cathedral, St. George's Basilica, the Maria Theresa Pavilion were all a part of my visit to the castle. 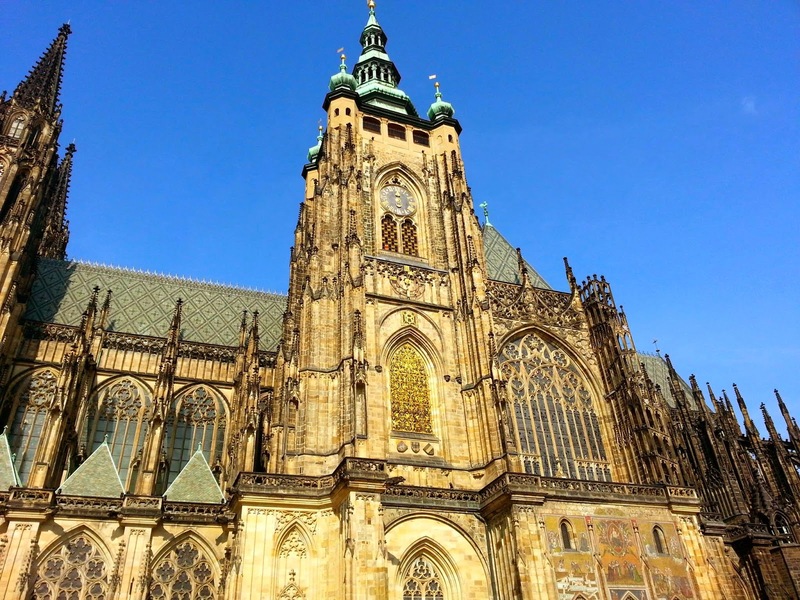 The St. Vitus Cathedral was truly stunning. 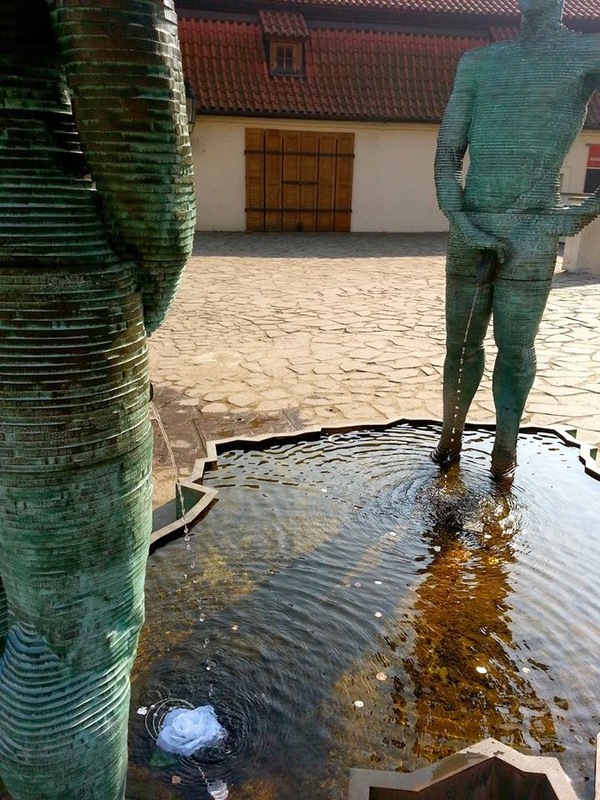 The Kafka Museum was insightful and there I stumbled upon a second Cerny work called 'Piss' outside of the museum. After the Kafka Museum, Wyatt and I met up and we went to the Mucha Museum on our way to the train. 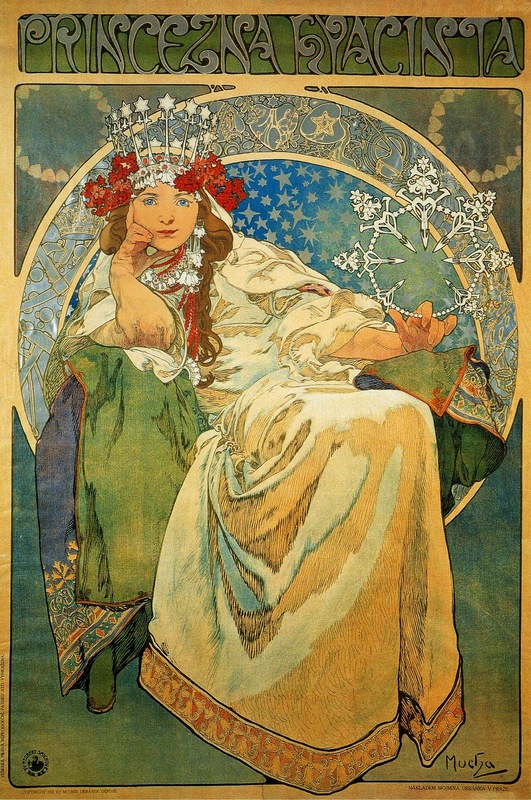 I fell in love with Mucha's work! The art nouveau style and detail of the graphic art was so captivating. Following the museum, we boarded the train and went home to Vienna to power through midterms and make it to spring break!